Dr. MacDonald has helped thousands of patients just like your family achieve natural health with focused chiropractic care. Discover how incredible you can feel! Would you like your body to function at its highest capacity? North Spokane Chiropractor Dr. Russell MacDonald wants to help you achieve this! 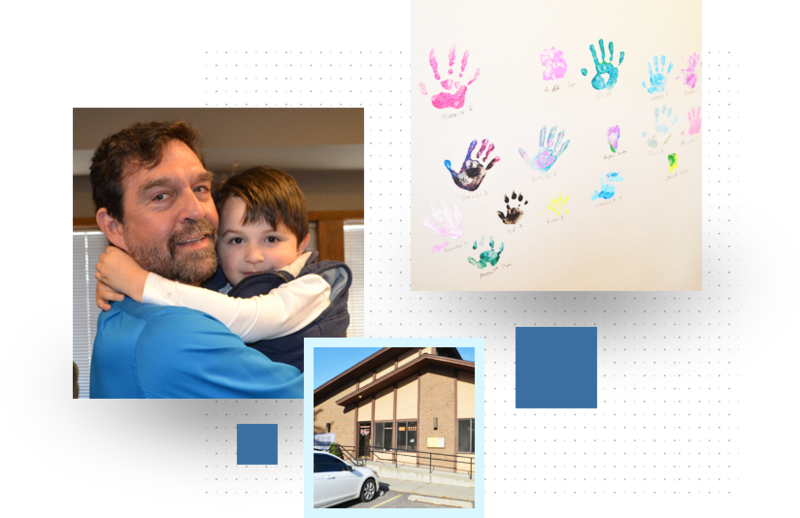 Dr. Mac is a family friendly chiropractor with 30 years of diverse experience under his belt. Throughout this time, Dr. Mac has completed 700,000 adjustments and has worked with patients as old as 104! He believes that chiropractic care can help patients live their fullest lives. We can't wait to show you! Dr. Mac believes that people of all ages can benefit from chiropractic. Starting care early sets a child up for their happiest, healthiest life possible! Chiropractic care benefits patients in many ways, reducing interference in the central nervous system. This can boost energy and overall well being, in addition to reducing physical and emotional stress. Chiropractic care can help with many conditions you may not think of. Ailments like ear infections, colic, bed-wetting, and sensory processing disorders are issues we see often. Anyone can benefit from Dr. Mac’s personalized care plans—that means you’re entire family. At MacDonald Chiropractic, you have the chance to optimize and maintain the benefits of your chiropractic care. How? By accompanying it with massage therapy. We offer massage, bodywork and somatic therapy. Your massage therapy is always custom to your needs just like your chiropractic care is. Ask about our monthly massage membership! Dr. Mac wants you to be comfortable at MacDonald Chiropractic. 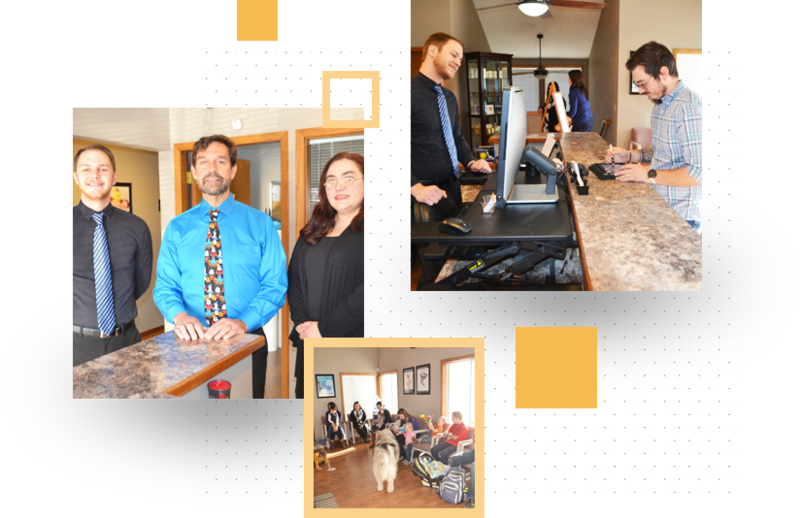 We're proud of the warm, laid back and welcoming vibe of our practice. 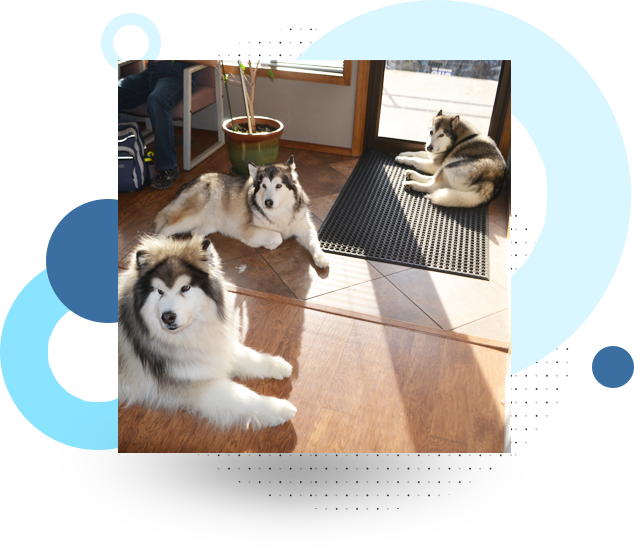 You'll feel right at home as his three dogs provide comfort for any nervous patients. Dr. Mac believes chiropractic care can benefit everyone. To get started, contact us today to book an appointment! It’s the dogs for sure…….lol Everyone is just so nice, helpful and timely. Thank you again. Dr Mac does a very good job of fitting treatment to the needs / oddities of his patients so that they can get the desired result. The knowledge and the care is superior to other chiropractors that have gone to for care. I had a serious back injury, and within a few weeks, I feel so much healthier; never missed any work. The injury was explained thoroughly; and the approach to heal and the duration was explained in detail. All questions were answered. Professional service with a relaxed atmosphere. Believes in total patient care not just Chiropractic services. Provides patients with healthy lifestyle information, in easy to follow formats. Changed my kitty’s life! It has been a miracle for my kitty’s digestive issues. She had been suffering from diarrhea for a long time and nothing was working. As a chiropractor myself, I knew that I needed to make sure my animal’s nervous system was clear. I wish I hadn’t waited so long to get her checked! Not only does she not have digestive issues anymore, but she is a much happier kitty overall. Was very pleased with first visit for my pain in my hips. Doc relieved to pressure for me. I can’t even begin to tell you all the pain issues you have gotten me through: back, neck, shoulder and others. With out you I don’t know where I would be today. I am so great full to you. You have ever helped our dog Baxter over come pancreatitis. You have just been a God sent to us and we can’t thank you enough. The staff at dr. Macdonld chiropractic is amazing, super friendly and when my dog was hurt they got me in quickly and within a few sessions my dog started feeling better and slowly started walking again. thank you guys so much!! MacDonald chiropractic is by far the best chiropractic office I have been to. Dr. MacDonald is very knowledgeable and gives a thorough exam and great adjustments. He listens to his patients, and really wants to get to the root of the problem, rather than just a “quick fix”. Upon visiting Dr. MacDonald, my back and hips were very stiff and sore. After one adjustment, the pain and stiffness were gone and I had a great nights sleep! Problem misdiagnosed by PT. Had immediate relief of most pain after first visit. Very thorough on exam and treatment plan.